Tina's Crop Shop: PCC215 Fall into Fall with Acorny Thank You! Hello Peeps and Happy Hump Day! 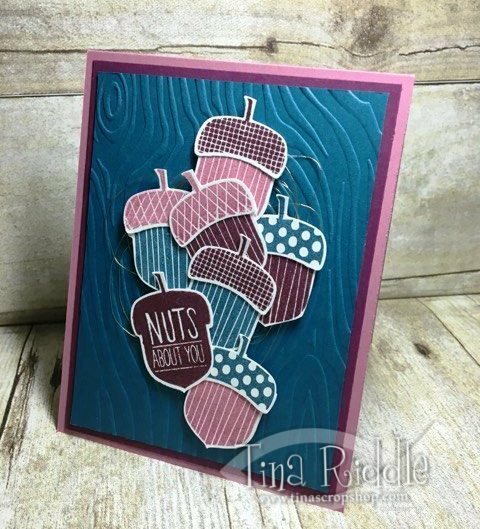 Since it's Wednesday, I'm back over with the Paper Craft Crew Design Team with a Fall into Fall Card! When I think of Fall, I think of Leaves and Acorns. I've made quite a few cards with Leaves recently so I went to my Acorny Thank You Stamp Set and Acorn Punch for this one! Thanks so much for stopping by today! 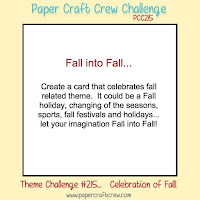 Hope you'll head over to Paper Craft Crew with your own Fall into Fall card! Love the fun non traditional colors!